RUSH: Sergio in Brooklyn. Sergio, great to have you with us, sir. How are you? CALLER: Good afternoon, Mr. Limbaugh. Right to the point. Let’s go back to the first election of the Clinton copresidency, when Bill Clinton got elected. And part of their job was they needed nominate a U.S. attorney general. Well, let me drop a couple of names. I don’t know which one came first because we all knew it was Hillary’s job to get the attorney general out there. The first person or the second person was Kimba Wood, and the second person was Zoe Baird. Well, the first person and the second person both had to drop out because they turned around and they were discovered to have illegal aliens working for them, paying them off the books, and they had to recuse themselves. And both times, one right after the other, was a total embarrassment. They couldn’t do enough the first time, you’d think they would have researched it the second time. RUSH: Wait a minute here, Sergio. Are you accusing the U.S. attorney for the Southern District of New York of judge shopping? CALLER: Yeah. It’s called trial… (unintelligible). We all know it goes on. And, listen, there’s no coincidences with the Clintons. But hold on. Before we get too ahead, I have to my own disclosure. In the interests of justice and full disclosure, I need to inform Judge Kimba Wood that I am not and I never have been a client of Mr. Cohen’s. RUSH: Sergio, I’m glad you called. I love the mental images that you have portrayed here in your denials of certain behavior and acts, but you know, he’s right about the chronology here. Judge Kimba Wood — and, by the way, I know a lot of lawyers who practice in New York who say she’s great. They have a lot of respect for her as a judge, just get that out there. She’s a Reagan appointee. She is the judge in the Cohen case who had Hannity’s name leaked. 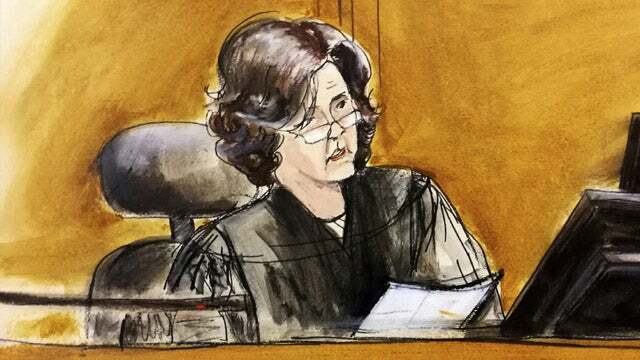 She’s the judge that made the decision to reveal the third client so-called of Michael Cohen. Now, according to the New York Times, February 6, 1993, Kimba Wood was interviewed by both Bill and Hillary Clinton to be Bill’s attorney general. She was set to get the gig when it was discovered she had an illegal immigrant babysitter, and then Zoe Baird came along. So the woman who was personally interviewed by Hillary Clinton to be U.S. attorney general is now the judge on the case of Michael Cohen and facilitates getting Sean Hannity’s name out there. I mean, some people may see a conflict with this. Some won’t. But Sergio’s right, at least in the statement of facts.